Lord Ganesha Is a symbol of wisdom and is considered as a spiritual ritual to be kept at home. Revive the spiritual vibes in by assembling this cute Hugging Baby Ganesha Showpiece in your house. 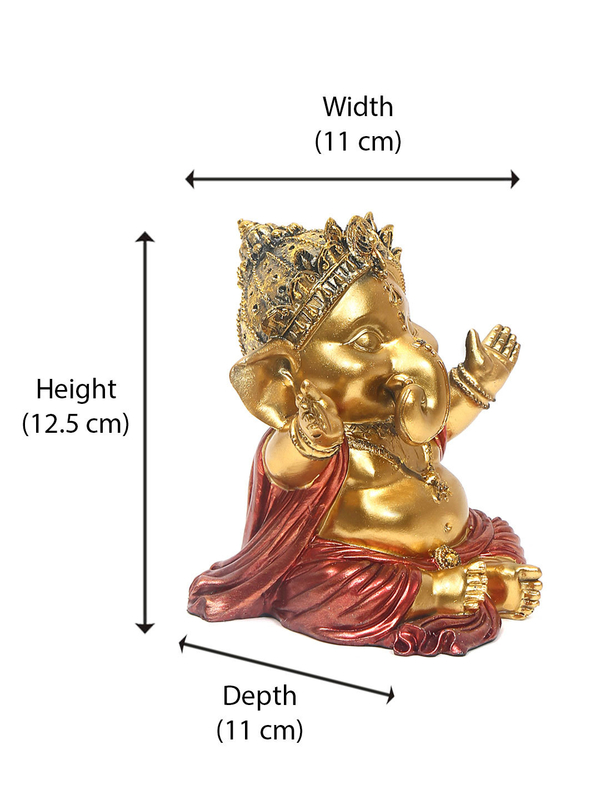 This Ganesha idol has been carved finely to give an exquisite feel which reveals the Indian traditional art. The hugging model of it gives a welcome charm to the eyes and looks very appealing. It is made with fine quality polyserin which makes it damage resistant and durable. It is an ideal charm to be used as a showpiece or to worshipped in temples beside other idols.